Tinder is the most popular dating app in the world at the moment, and with its simple hot-or-not swipe interface, it makes meeting new people extremely easy. This model has won Tinder millions of users across the world, but Tinder had a problem: how do you even monetize a dating app like this without spoiling it with cheap ads?! 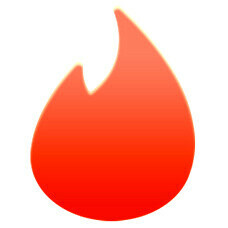 Today, it unveils Tinder Plus, an in-app purchase model that lets you take your Tinder use to a whole new level. Before we dive in the details, though, let's first break the news about the prices: those vary depending on what you want to get, and for unlimited likes, for instance (where you can like tens or hundreds of people), the cost is several dollars. Quite frustratingly (and possibly, illegally) Tinder Plus borders on age discrimination with its cost policy that dictates a lower price for everyone who's under 28, and a higher one for those who are older. Really, Tinder?! In the UK where the prices are now official, you pay a monthly fee of £3.99 a month if you're under 28, and £14.99 monthly if you're over that age. In the United States, the rate is flat at $9.99 a month, but that seems like an overkill given countless other free dating services. In either case, Tinder Plus is now official, and time will soon tell whether this was the right move for Tinder. Will you continue using it / or are you planning to start to do so with those new prices? I'm sure some will stick around on their freemium model, but I think the pool of users will be reduced enough that eventually more will leave. It's already fairly saturated with bots.